a place for students to reflect on the impact their lives, and our species, have on the Earth. 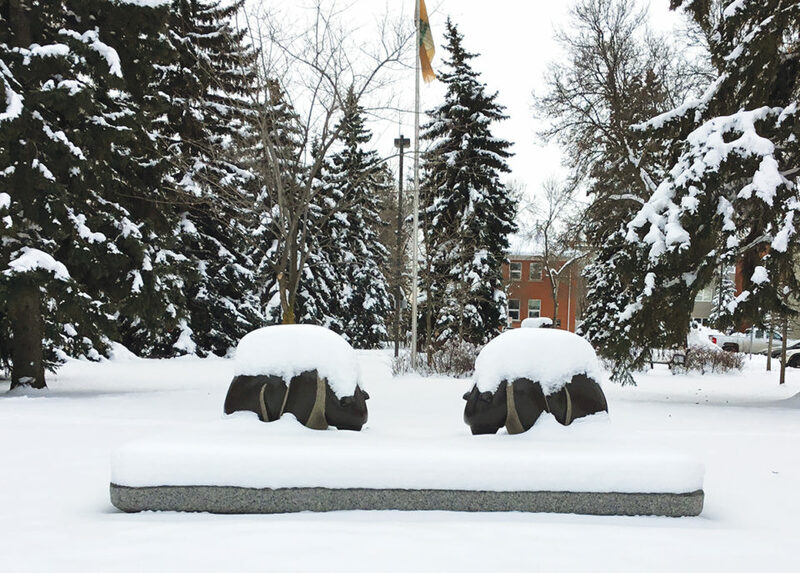 The two, four-foot tall bears stand mounted on an 11-foot long bench, looking downward at the prayer-offering space where stressed-out students and passersby alike can calm down, clear their minds and even smudge, should they choose. At its core, the sculpture speaks to the notion that everyone belongs to the human family and must come together, with no exclusions, to focus on Mother Earth’s well-being. It’s based largely on teachings from the late Veronica Morin, a beloved member of the Saddle Lake Cree Nation and Enoch communities, who was a leader in keeping women’s teachings alive.